A poster by John Foster depicting a family from 18th century living inside a bear that swallowed them whole after they built a post and beam style house on top of it’s bear nest. Teach that family a lesson and everyone else who thinks its ok to build on top of a bear’s nest. 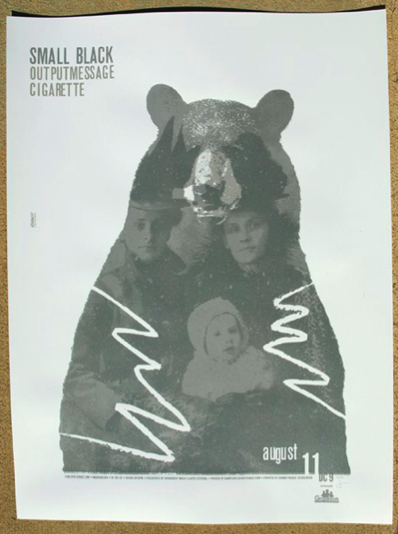 This entry was posted in Uncategorized and tagged Art, Bears, Gig Poster, John Foster. Bookmark the permalink.